1. Peter Greenaway and Jean-Luc Godard have made a 3D omnibus film (along with one Edgar Pêra). The 2D trailer is here, and you can find information online: CinemaScope / Fandor / The Hollywood Reporter / Mubi / Variety. 2. Guy Maddin is planning a moving-picture adaptation of Sparks’s radio drama / concept album / opera-thingy The Seduction of Ingmar Bergman. And this is also relevant. 4. While we’re all here, we might as well look at this. 5. As well as this. Pretty well-done, no? When I first read Masha Tupitsyn’s hybrid-genre book Beauty Talk and Monsters (Semiotexte), I was completely floored by it. 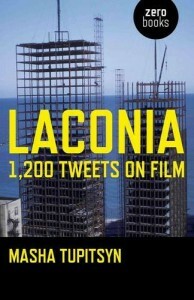 So I was excited to read her new book LACONIA: 1,200 Tweets on Film (Zero Books)—a book of aphoristic film and media commentary written in the spirit of cultural observers like Chris Marker. There is something beautiful about Masha’s way of “reading” culture, how she honors the connections and resonances of the media she encounters, the way it is processed, assimilated and re-invented when it is filtered through her perception; intermingling with specific memories and preoccupations. Masha integrates the subjective and the critical in a way that demonstrates the specificity of our encounters with media. 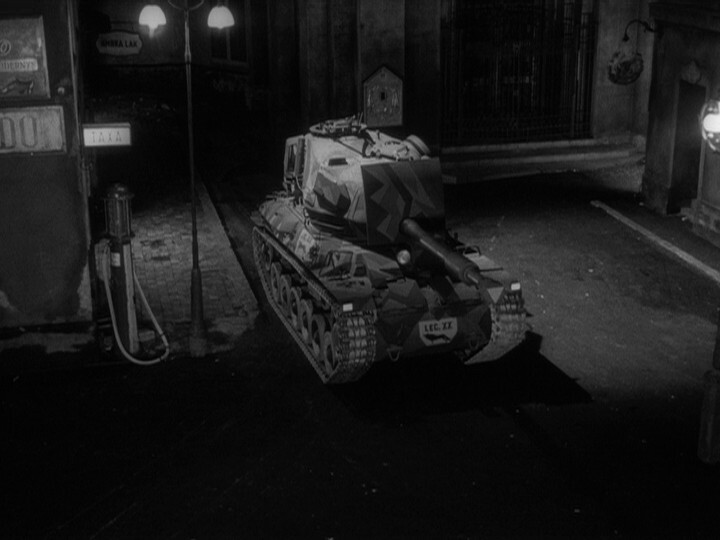 Both Beauty Talk and LACONIA could be described as a literary approach to film criticism, but it’s also fitting to describe the works as a cinematic approach to literary writing. In Beauty Talk, narrative and a criticism are tightly interwoven. As stories, the essays are stunning; as critical analysis, sharp. Masha’s recent book LACONIA reminds me of the ways in which the viewer is also a meaning-maker, a participant critic. Cultural studies is on the rise. The canon is dying, or at least is seriously ill. Critics are now turning their attention to the media that surrounds them—sitcoms, Hollywood films, magazines, pop music, kitsch, reality TV, fashion trends, internet memes. Repulsed by the academic elitism of cultural criticism as well as the notion that there are certain texts that are unworthy of the critic’s attention, the proponents of cultural studies have launched a vitriolic attack on the hierarchical distinction between high culture and low culture. The exclusion of “low” and popular culture and the privileging of refined culture and art that caters to a specialized/trained audience has its problems: it reinforces the idea that art is an “autonomous” institution while implicitly promoting classism, eliminating the perspective of lower class folk and ignoring subaltern cultural production and engagement (Adorno famously denounced jazz music).